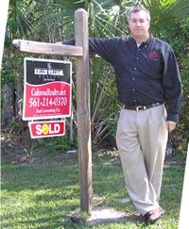 How Many Homes With Pools Are For Sale In Caloosa? Homeowners love Caloosa for many reasons, from the peace of 5 acres to the proximity to the beaches as well! For folks that have to have a pool in their back yard, I have put together the following list of homes for sale with pools! Call Resident Realtor Mark Loewenberg PA at 561 214 0370 For Details To learn more about Caloosa, please visit www.CaloosaRealty.net as well as to download a free Caloosa map you can visit: http://www.caloosarealty.net/html/neighborhood_map.html or feel free to call you Resident Realtor Mark Loewenberg PA at 561 214 0370! Mark Puts Another Lot Under Contract Here In Caloosa! Palm Beach Gardens 4 Bedroom Pool Home For Sale With Super Location! Equestrian Estate With 4 Stall Barn On 5 Acres In Caloosa Available! What You See Walking Down The Street Here in Caloosa! Red Day Is Just Around The Corner Coming Up Thursday May 8th! 13849 Deer Creek Dr Palm Beach Gardens, FL 33418 For Sale In Caloosa!